Rotary dryer or drum dryer is a common type of dryer used in the biomass industry namely wood pellet and woodbriquette factories. The advantages of rotary dryer due to the construction is simple, easy in operation and the drying capacity is quite large. There are two important points to consider in the use of a rotary dryer dryer: 1. Heat flow pattern, single pass or triple pass drum; 2. Type of equipment for emission control, such as multiple cyclone systems or other types. Both of these will affect the dryer efficiency as well as the environmental aspects. 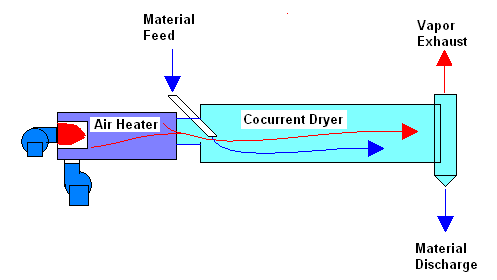 In practice in Indonesia almost all rotary dryers use single pass with a co-current with material to be dried. Multi-cyclone with cyclone also serves as a temporary storage is also widely encountered. Side of other efficiencies that can be improved that is on the heating media. This is because the fuel consumption for drying is costly. Currently the rotary or drum dryer drying process that operates by direct-contact between the flue gas heat with the dried material such as sawdust. The flue gas usually comes from burning wood waste as well. If the plant site contains bulk materials such as rice husks, peanut shells, palm shells, cashew shells and so on, improve efficiency with gasification technology can be done. 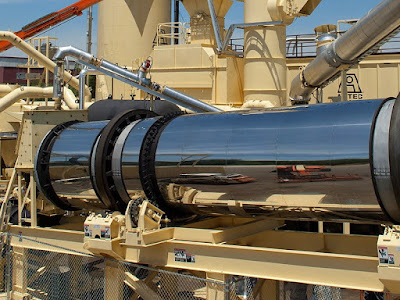 The trick is to replace the flue gas burning furnace with gasifier or from the beginning has designed a rotary dryer with a gasifier as a heat generator. 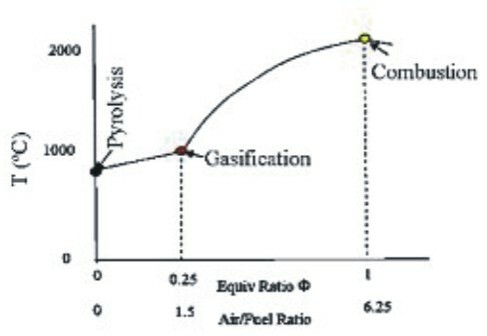 An increase of efficiency by 20% can be achieved by using the gasifier. Heat gasifier type downdraft and work continuously will be suitable for the heat source. 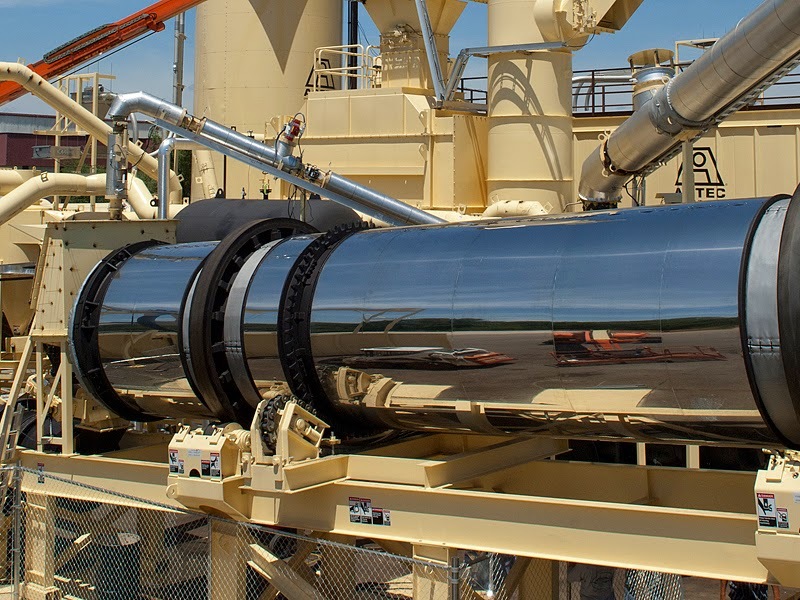 This is because the heat gasifier does not require a complicated syngas cleaning unit and with the downdraft type syngas will be cleaner because the resulting tar is much less than the updraft type.